One of the oldest buildings in Boulder City is newly renovated and ready for community engagement. 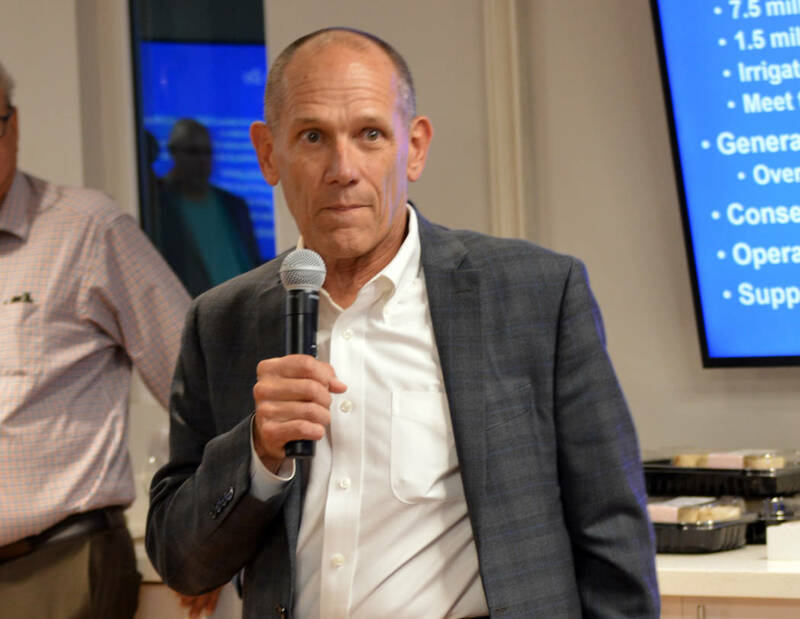 (Celia Shortt Goodyear/Boulder City Review) Bureau of Reclamation Regional Director Terry Fulp fields questions Tuesday, Oct. 30, at an open house at the newly renovated administration building on Park Street. 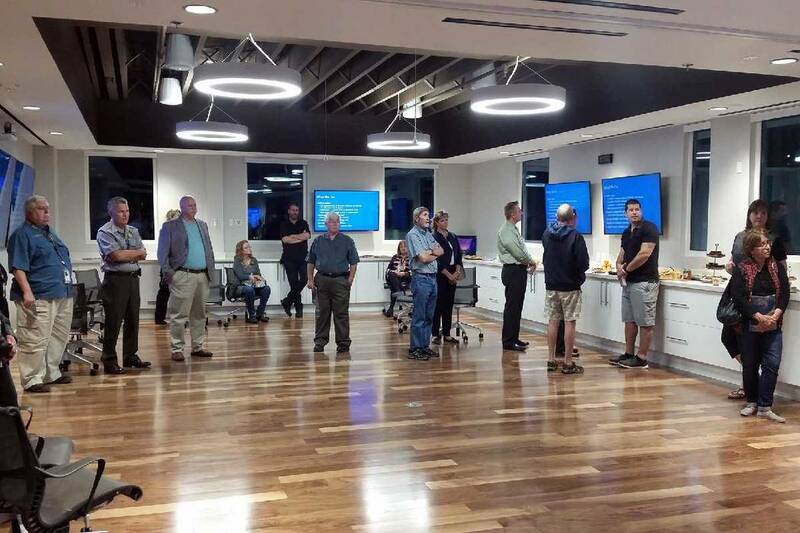 The Bureau of Reclamation held an open house Tuesday evening at its administration building on Park Street to showcase the renovations that begin in March 2017 and were completed in August as well as to reconnect with the community. The building was constructed in 1932 and last renovated in 1994. Regional Director Terry Fulp shared some history of the department and its place in town during the event. According to Patti Aaron, public affairs officer for Bureau of Reclamation’s Lower Colorado Region the renovation included a complete demolition of the main floor, with upgrades to the carpet, paint and fixtures on the two other floors. The renovations were also done to enhance the bureau’s presence in the community, he added. According to Fulp, the administration building is a public facility and is open for public access. However, because the bureau is under strict security measures as a government entity, Fulp said they are trying to strike a balance between the two with the building’s potential uses. “Please come back anytime,” Fulp said to the open house attendees. City Manager Al Noyola attended the open house and said he was pleased with the bureau reaching out. The Bureau of Reclamation is a water management agency known for its dams, power plants and canals. It was established in 1902 and has created more than 600 dams and reservoirs, including the Hoover Dam and Grand Coulee. The agency brings water to more than 31 million people, as well as producing enough electricity to serve 3.5 million homes.